The LA Kings have 17 games left in their 2014-15 season and they will not make the playoffs without significant help from the rest of the league. Knowing which team to root for in any given matchup can be complicated so we’ve put together this handy guide for you. RULE 1 – Always root for an Eastern Conference Team over a Western Conference Team. RULE 2 – Almost always root for a Central Division Team over a Pacific Division Team. RULE 3 – Always root for the higher ranked team when two Central Division Teams are playing each other. 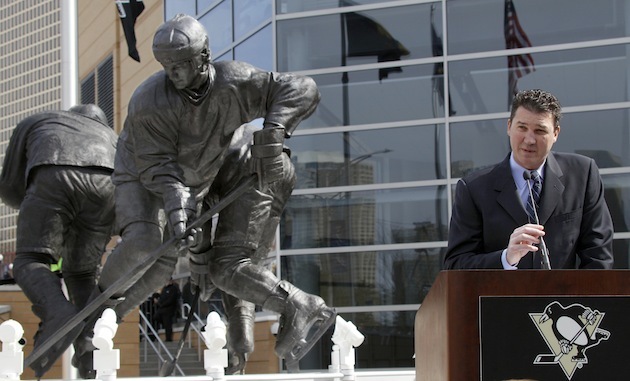 The Pittsburgh Penguins have a statue of Mario Lemiuex. The San Jose Sharks have the same number of statues as they do Stanley Cup banners. 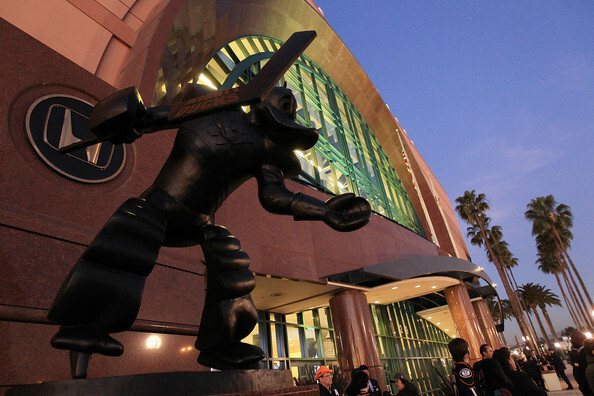 Sure the Ducks used to have a statue of their mascot but they had the good sense to get rid of it. 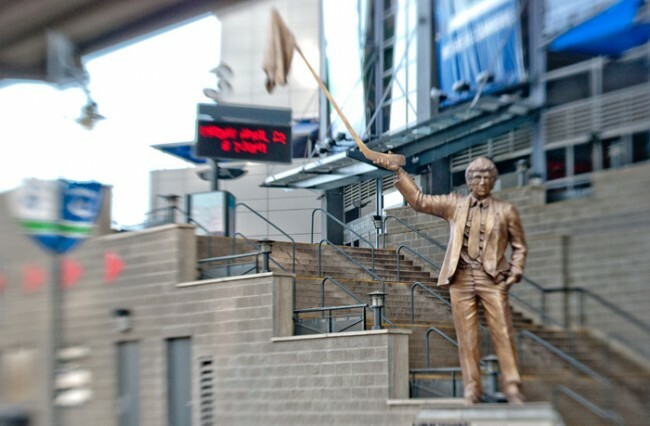 The Canucks still have a statue of a former coach waving a towel of surrender. 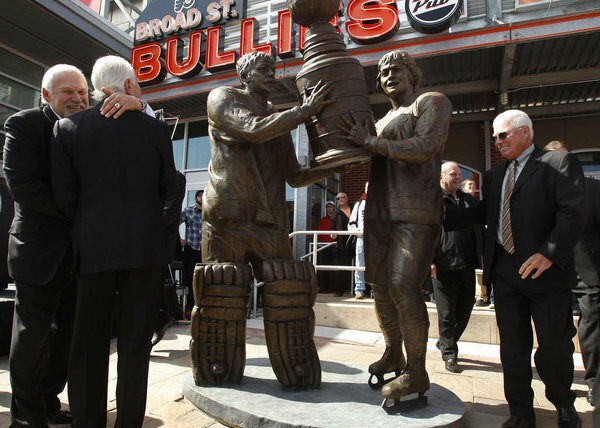 The Flyers honor their tradition with a statue of Bobby Clarke and Bernie Parent hoisting the Stanley Cup. The Dallas Stars have none. 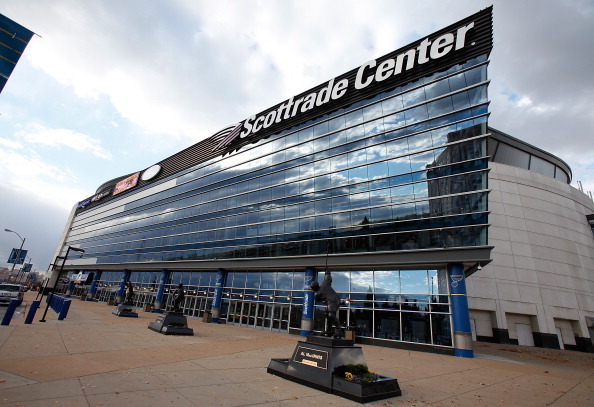 Despite never winning the Stanley Cup, the St. Louis Blues have statues of Brett Hull, Al MacInnis and Bernie Federko outside their arena. It’s too cold in Winnipeg for statues. 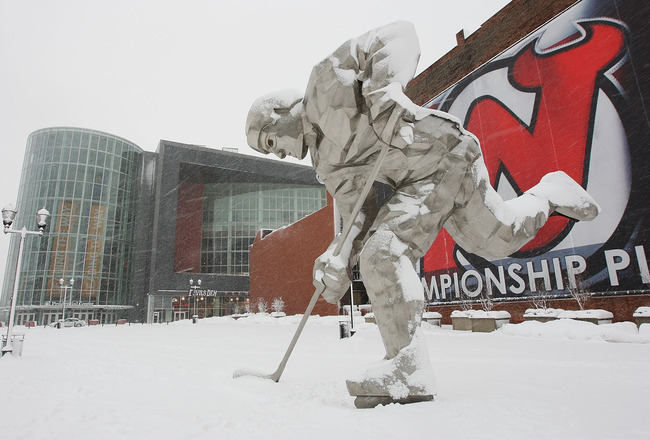 The Devils have some kind of horrible nightmarish ode to the FOX NHL Robots for a statue. The Wild have some kind of horrible nightmarish ode to Jack London for a name. 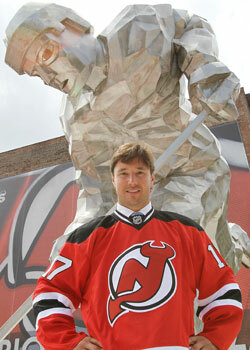 ‘Tis better to have had an embarrassing statue and gotten rid of it than never to have had a statue at all. There’s no statues in play here. Let’s just hope by the time this game rolls around Dallas is finally out of serious contention. 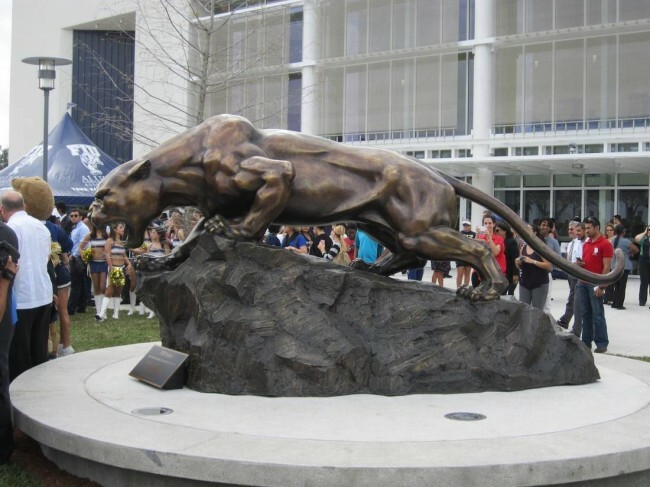 Well… there are statues OF Panthers IN Florida. That counts, right? Remember when this was a perennial Stanley Cup Final preview? Hah. 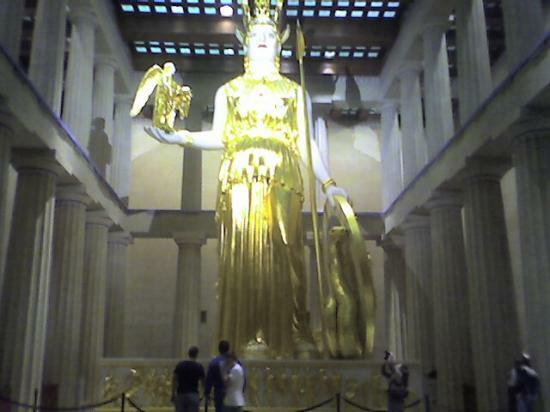 The Predators don’t have any statues but Nashville has a full-scale replica of the original Parthenon in Athens complete with a 42 foot tall statue of Athena. You wouldn’t root for the Sharks anyway.